Community living sure is colourful! This image comes from the city of Palembang, Indonesia which is home to Malay, Chinese, Indian, Arab and European descendants who live in extraordinary unity. Although Indonesian is the official language, and English, Arabic and Chinese are also widely used, the people of this city enjoy their own vernacular: Baso Pelembang. Learning the local language is essential for any resident who wants to connect with their neighbours, enjoy the local radio and TV stations and make friends. 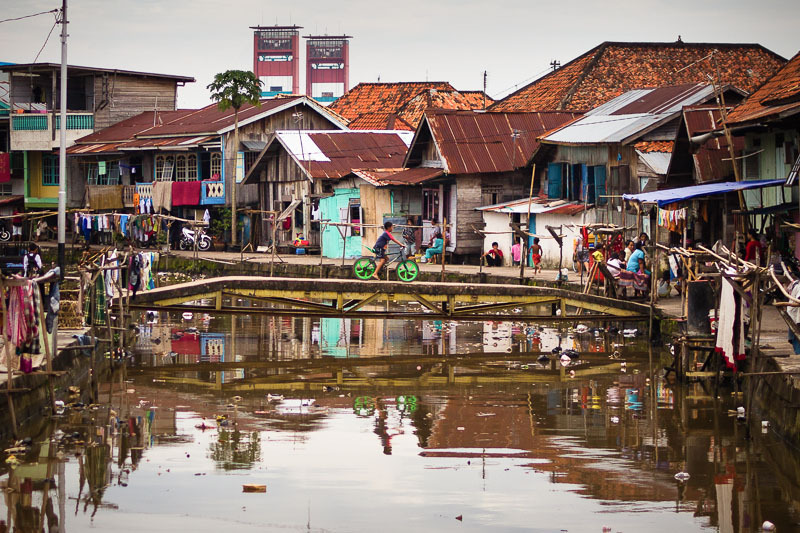 Baso Pelembang collects and creates the unique identity and unity of this city. Language is much more than a tool for education and business, it is a instrument for friendship, worship and community. And when you can choose which one to use, you always choose the one that is closest to your heart. Please pray for the work of language development and Bible translation in Indonesia.